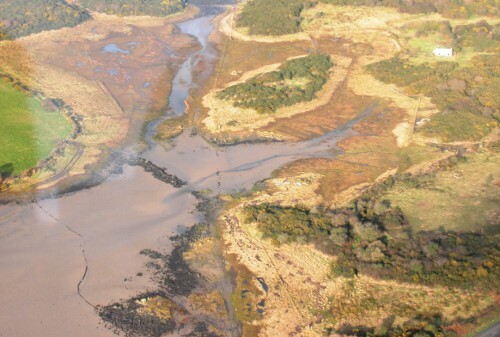 The intertidal mudflats and sandflats in the north of Strangford Lough are the largest single continuous area of this habitat in Northern Ireland. 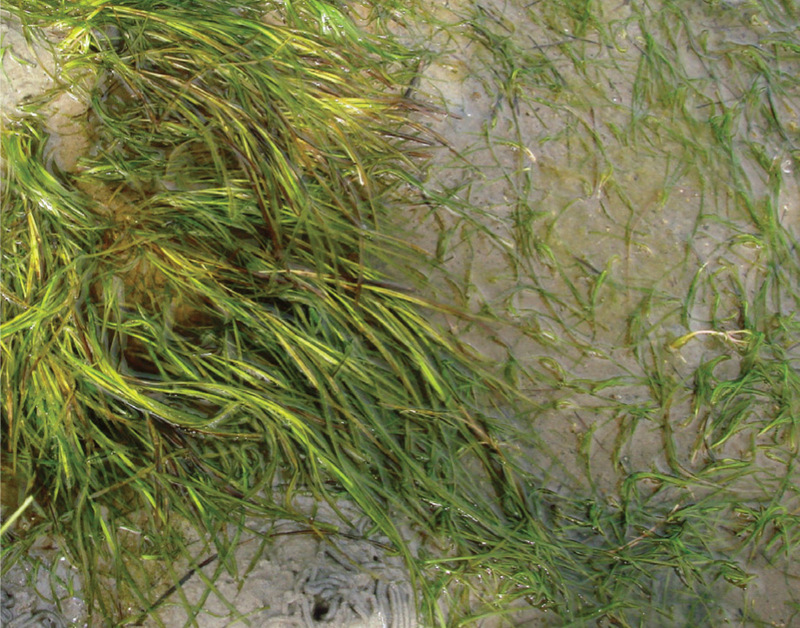 The northern flats support luxuriant beds of eelgrasses (mainly Zostera marina) which are rare in the British Isles. The muds and muddy sands also support a number of invertebrates- worms and shellfish. The intertidal mudflats (particularly the Zostera beds) are also of great importance as feeding areas for the large numbers of wildfowl and waders that over-winter on the Lough. The 2007 condition assessment found that this feature was in favourable condition. The Dorn is a silled lagoon on the eastern side of Strangford Lough near Ardkeen. The Dorn, from the Gaelic word for ‘narrow channel’, refers specifically to the channel which connects a series of very sheltered bays to the main Lough. Near the mouth, rock barriers or sills act as dams to hold back water as the tide falls, creating saltwater rapids which are unique in Ireland. In the area of the Dorn rapids, abundant growths of sea anemones, sponges and ascidians clothe the rock and boulders. Several of the animals found here normally occur in relatively deep water. The channel immediately above the sill has fast tidal streams without turbulence, enabling sponges to grow to exceptional proportions. The main trough of the Dorn supports a dense forest of seaweeds 29 and the gravelly-sand bottom has unusually dense colonies of some worms and shellfish. The sheltered marine ‘ponds’ behind the Dorn sill feature beds of common eelgrass and green seaweeds. 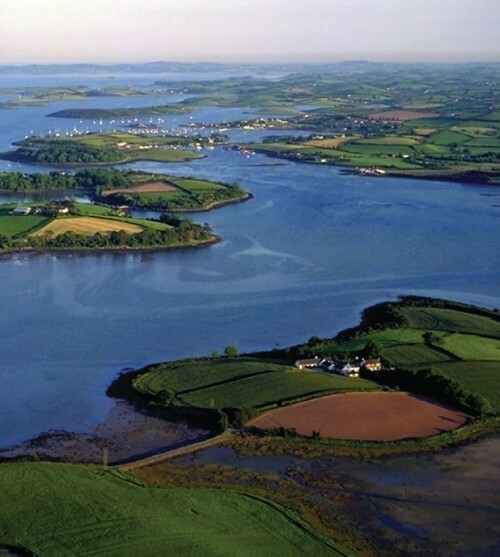 Strangford Lough is an outstanding example of a large, enclosed fjardic sea lough. Fjards are found in areas of low-lying ground which have been subject to glacial scouring. They have a highly irregular outline, no main channel and lack the high relief and U-shaped cross-section of fjordic sea lochs. Sea water enters Strangford Lough through a narrow entrance, expanding into a broad, mostly shallow basin that has a central channel 30-60m deep, which carries rapid currents and causes great turbulence in some parts. 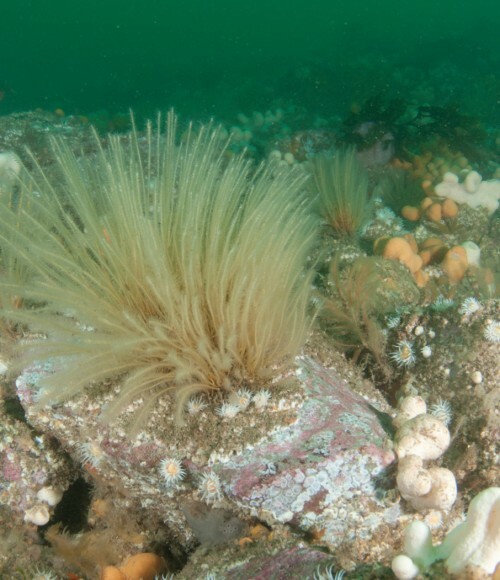 With a wide range of tidal stream strengths and depths, there is a remarkable marine fauna within Strangford Lough and it is one of the most diverse sea loughs in the UK. The communities present range from the very rich high-energy communities near the Narrows and the mouth of the Lough which depend on rapid tidal streams, to communities in extreme shelter where fine muds support burrowing brittlestars, Dublin Bay prawn (Nephrops norvegicus), and a rich community associated with horse mussels (Modiolus modiolus). Reefs in Strangford Lough vary from tide-swept bedrock and large boulders in the main channel of the Narrows, through sand-scoured bedrock and boulders at either end of the channel, to more sheltered bedrock and boulders in the main central portion of the Lough and in parts of the intertidal. Beds of horse mussels (Modiolus modiolus) used to form extensive biogenic reefs within the central portion of the Lough. In the Strangford Narrows, rock surfaces are entirely clothed in colourful soft coral, sponges (some reaching huge sizes), ascidians and sea- anemones. Large boulders on the bed of the Narrows are subject to strong tidal streams.These boulders are clothed with encrusting sponges, hydroids, and sea anemones. Coarse sand scours rock surfaces at the sides and either end of the Narrows. Here, the characteristic species is the bryozoan Flustra foliacea. Glaciated or sea-worn bedrock outcrops are found at many locations. Massive boulders occur on the shore and form rocky islands known as ‘pladdies’. The fauna and flora associated with these outcrops are dependent on the rock type, their position and the prevailing conditions. Horse mussel beds form one of the richest communities in the Lough, with about 200 associated species growing and sheltering on the hard surface of live mussels and dead mussel shells. Full development of the community depends on the very sheltered, plankton-rich waters of extremely low turbidity found in the central to northern area. M. modiolus rarely occurs in such still waters. Many mobile suspension-feeders also occur, particularly the scallop Chlamys varia, and brittlestars in the central to south-western area where water movement is slightly greater. The 2007 condition assessment found that this feature was in unfavourable condition because of the reduction in the extent of the Horse Mussel beds.